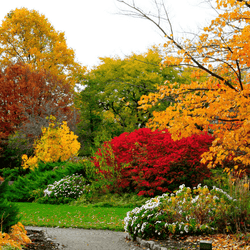 We can help you beautify your outdoor space by adding trees, shrubs, ground-cover, and flowers. We specialize in the personalized development and implementation of low-maintenance, high-success, landscapes and plantings. Our employees have the knowledge of what plants, shrubs, and trees are best for your area and will make recommendations appropriately. We will work to help you create a brand new design or revamp an existing landscape plan that will breathe new life into your property. If you've thought about landscaping but aren't sure what to do, call us! We are more than happy to do an on-site consultation to answer your questions!